As with everything in wet shaving, there is no one-size-fits-all when it comes to pre-shave treatments. Some men can’t live without them, others notice no difference, and some even find their shaves to be better without a pre-shave. The best way to determine if you should be using a pre-shave treatment is to try shaving 1 – 2 weeks with, then 1 – 2 weeks without, then with again. You can also experiment with applying the treatment only before your shave, or applying before each pass. There are a couple pre-shave options available: pre-shave oil, gel, and cream. Here, we break down the benefits of each option. Who should use a pre-shave oil? We recommend pre-shave oils for any man with sensitive skin, as it will protect you from razor burn and razor bumps. It must first be noted that a pre-shave oil is not effective without water. This is because the stratum corneum (the outermost layer of skin) absorbs water with ease, but does not keep it in well. Thus, an oily substance – a pre-shave oil – is needed to trap the water in the skin. To optimize a pre-shave oil’s benefits, apply it in the shower, where the steam will open up pores for deeper penetration. Or apply it right before a hot towel treatment to similar effect. Wait until your skin feels ultra soft, then commence lathering. What are some good pre-shave oils to try? Highly absorptive oils include jojoba oil, coconut oil, grapeseed oil, hempseed oil, castor oil, and sunflower oil. You can simply use a few drops of any of these oils (or a blend) for a pre-shave. In the realm of commercially prepared oils, St. James of London Pre-Shave Oil has excellent reviews. It contains sunflower oil and jojoba oil to leave your skin feeling smooth as silk. Whereas pre-shave oil makes the skin itself softer, thereby preventing nicks and cuts, pre-shave creams and gels create a cushion between your skin and the blade. This cushion allows the blade to slide more easily across the surface. Pre-shave creams and gels simultaneously soften the beard, making your hair more pliable and easy to cut. Who should use a pre-shave cream or gel? The best way to determine if a pre-shave cream or gel will make your shave better is to try one out for yourself (see method in first paragraph). How do I use a pre-shave cream or gel? Apply to damp skin prior to shaving. We suggest applying the cream or gel right before you start building lather. By the time your lather is ready to go, your skin should be thoroughly lubricated. If you shower before you shave, apply the pre-shave cream or gel right before you shower. What are some good pre-shave oils or gels to try? Proraso Pre-Shave Cream – Green, Refreshing and Toning has been said to not only improve shaves, but also to reduce acne and razor burn. It has the added benefit of refreshing your skin with a minty, tingling sensation as you shave. If you have reactive skin, The Art of Shaving Ocean Kelp Pre-Shave Gel is highly effective for men with sensitive skin and thick beards. Glycerin coats the skin for enhanced glide, and the alcohol-free formula reduces irritation. If you find yourself short on time or just looking for a multitasking product, Geo. F. Trumper Skin Food makes a good pre-shave and aftershave balm. Its glycerin base protects the skin. You can also place a few drops onto your puck or brush to combat lathering issues with hard-to-lather soaps like Geo. F. Trumper Hard Shaving Soap. Tip: For a step-by-step guide to producing lather with the Geo. F. Trumper Hard Shaving Soap, see our blog post here. What are the Best DE Razors for Beginners? Between specs like closed comb, open comb, adjustable, slant bar, and 2-piece vs. 3-piece vs. butterfly, deciding on your first double edge razor can make your head spin. We’re here to simplify the process by giving you a solid starting place. One of our most frequently asked questions is what razor is best for beginners, and in order to give a qualified response, we have to consider two things: beard hair type and blade selection (since the blade is what ultimately does the cutting). We covered how to find the right DE razor blade for you in another post, so today we’ll discuss great beginner DE razors, broken down into razors for fine/medium hair and medium/thick hair. It’s important to select a razor in tune with the density of your hair, since a razor that’s too aggressive may be overkill (and even quite damaging) for men with fine hair, but a perfect match for those with thick hair. Conversely, if you are a man with a sizable, coarse beard, a beginner DE razor with low to medium aggressiveness will produce an unclean shave. 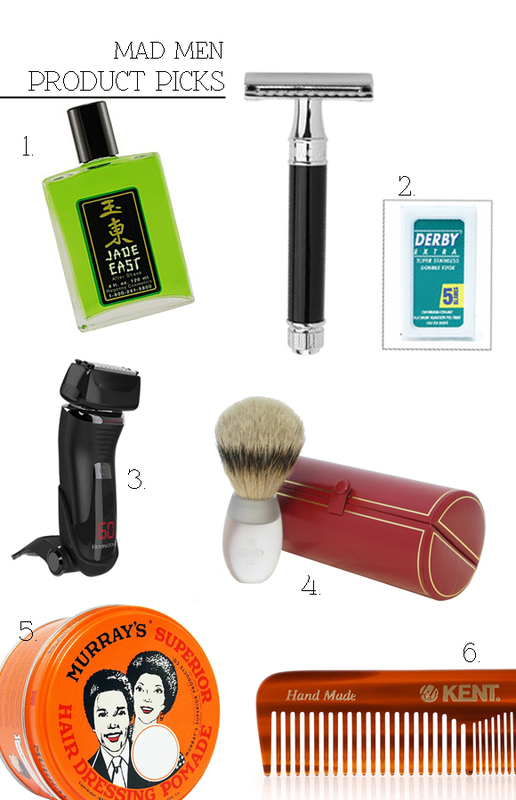 Read on for our DE razor picks! The Parker 22R’s closed-comb butterfly head makes blade changing a cinch, so there’s less chance of nicking your finger. The extra long, ridged handle adds balance and control for beginners. Made of heavy brass, the 22R’s hefty weight means it sits tangent to your skin, swooping in easily for a clean pass. The Muhle R89 Closed Comb Double Edge Safety Razor is a forgiving first razor, with a closed comb construction that exposes less of the blade, so it provides a less aggressive shave. Because of its lighter weight, it will give you more feedback as you make passes over your skin, as well as enhance maneuverability. The 3-piece construction means simple blade changing and cleaning. With an extra-long handle for better control in larger hands, the Parker 60R gets in for an irritation-free close cut. Closed comb construction means it’s forgiving if you’re still nailing down your technique, and the textured grip gives you excellent control. It shaves with a medium aggressiveness that can easily tidy up fine to medium hair. The Edwin Jagger DE89 is designed to make shaving a breeze, even if you’ve got a bad case of shaky hands. 3-piece, closed comb construction means reduced possibility of a bloodbath, and the fluted handle is especially desirable because it’ll give you a solid grip, even in wet and soapy conditions. Weight is distributed evenly across the handle, enhancing balance and control. The resulting shave is somewhere between mild and aggressive. Beyond just being beginner-friendly, the DE89 is chrome-plated to resist rust and will last you a long time. Though we recommend this razor to those just getting started in the world of wet shaving, its precision and durability have made it a favorite of veteran wet shavers. The Merkur 34C is one of our top-selling razors, and for good reason. The balance on this razor is near perfect, with a shorter handle than the other models to counterbalance the head. Plus, the knurled handle makes it easy to grip. At an affordable $39.99, it’s a fantastic entryway into wet shaving. If you’re a man with particularly coarse hair, deciding on your first DE razor can present a conundrum – you need a razor (and blade) strong enough to cut through your thick beard, but not so aggressive that you end up with razor burn and irritation. This is why we recommend the Merkur Long Handle Progress Adjustable Safety Razor, which features an adjustable knob with five aggressiveness settings so you can either dial it up or down to the exact blade angle you need hit your hair shaft just right. As you start, begin with the least aggressive setting, then increase aggressiveness gradually as you hone your wet shaving technique. If you’re like us, you’re still suffering from a bit of Mad Men withdrawal. The series played a not-so-small role in the resurgence of the well-kept male: Don Draper’s slicked-back hair, freshly shaven face, and impeccable executive suits sent many of us to our barbers and tailors. The series concluded in May after seven seasons, but that doesn’t mean we can’t continue to act on the style cues laid out so sportingly on the show. Specifically, let’s turn our attention to Don Draper’s grooming habits. Throughout the series, we got glimpses into the products he used to look so dashing, from the mention of Brylcreem in Season 1 to his preferred razor – the Gillette Black Handle Super Speed – in Season 2. The following infographic lays out all the major grooming tools Draper was spotted with in Mad Men, as well as similar modern-day products you can purchase. What’s great is that several of the original products that date back to the Mad Men era (1960s) are still available today. We’re curious – do you own any of the products mentioned in this infographic? Scroll below the infographic for a Mad Men shopping list. Also, for more Mad Men style, see our post on our favorite Don Draper outfits from each season of Mad Men. SHOP: 1. Jade East Cologne, 2. Edwin Jagger DE86 Double Edge Razor with Ebony Handle, 3. Remington Smart Edge Shaver, 4. Kent AP12 Large Opaque Silvertip Badger Brush, 5. Murray’s Superior Hair Dressing Pomade 3 oz, 6. Kent Hand Made Sawcut OT Hair Comb.